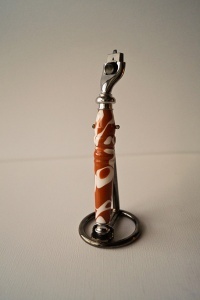 This beautifully balanced Gillette Mach 3 razor handle will excite any Longhorn fan. The white and orange colors are ment to inspire thatAustin spirit. The handle is guaranteed to not crack with exposure to water or impact from being dropped. The black chrome platting will hold up to years of use.